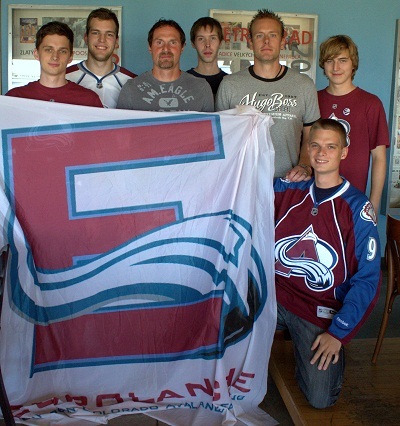 In 2012 we organized a unique double meeting in Europe when we met Jan Hejda and Milan Hejduk at once in Prague, Czech Republic. It - or something similar with other players - will probably never happen again outside Denver. We did a long interviews with both players. Media sourced and quoted us in the following weeks what was an inspiration to do regular exclusive interviews. 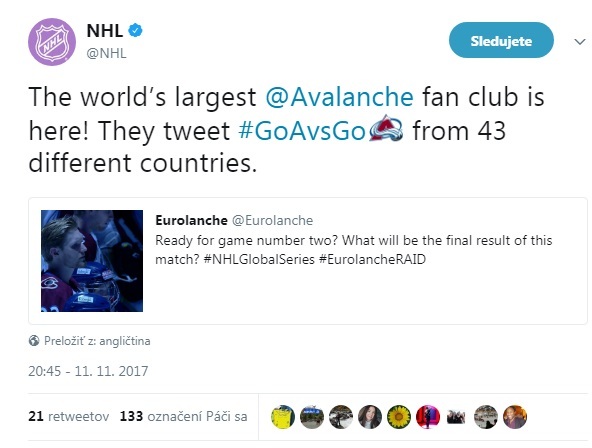 Additionally, the following season did not start on time due a lockout that brought many Avs players to Europe, much closer to our homes. A crazy fast pace followed. We published 25 exclusive interviews in one season. Part of were did online (Skype, emails), some of them in person and some of them by other Eurolanche members as I could not travel everywhere over Europe. Former and mainly then-current Avalanche players were amongst them. I remember on an interview with Ryan O’Reilly - in that time it did not seem good with his future in Denver. He was playing in the KHL without an NHL contract. We were first who talked with him in this matter as his team came for a game to my hometown. In the next years, we never reached such a high number again. I am not a student anymore, my work makes me busy, but we still have regular opportunities to talk with the current Avs players, Mikko Rantanen e.g. Finally, check more than 70 exclusive interviews at this link.